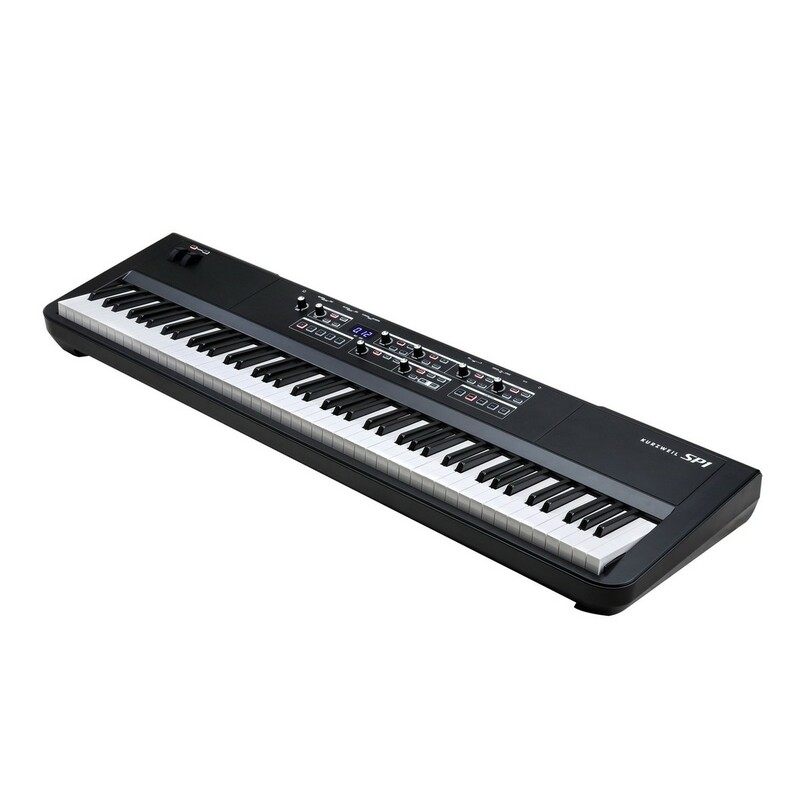 The Kurzweil SP1 88 Key Stage Piano is an 88-note keyboard with fully weighted hammer-action keys, offering a realistic feel, ideal for any piano player. 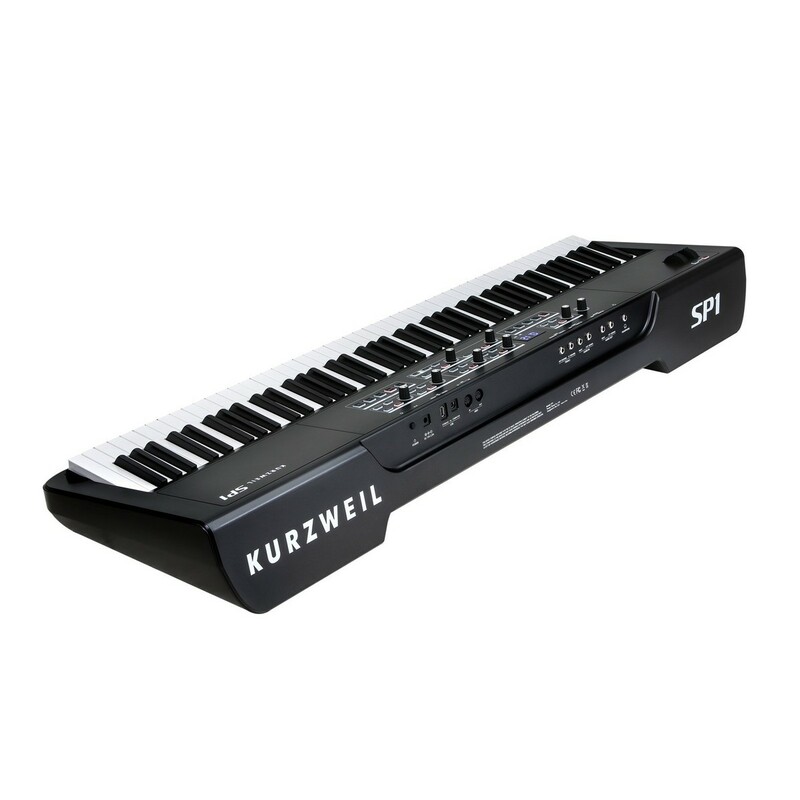 The Kurzweil SP1 provides 16 handpicked presets, which include a range of high-quality acoustic and electric pianos, strings, winds, bass, organs, clavs, synth pads and more. The Kurzweil SP1 piano features 4 individually adjustable FX, allowing you to add texture to your performance. Quickly split and/or layer up to 4 sounds together to create your own ensemble and save it to your favourites for later. 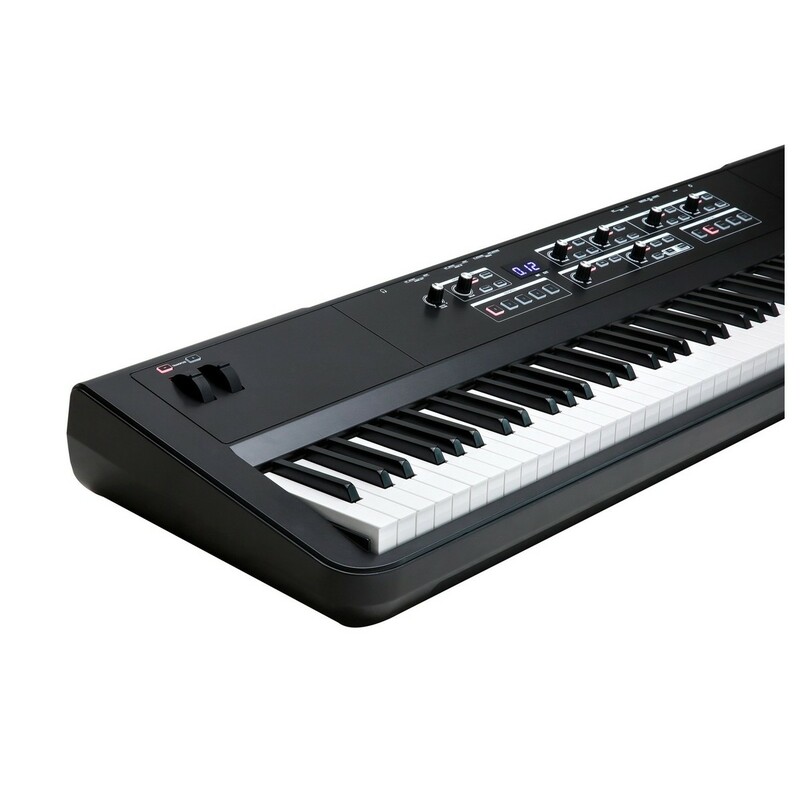 The Kurzweil SP1 is a powerful and versatile stage piano offering high-quality sounds, adjustable controls, FX shaping, and a simple and easy to use interface. 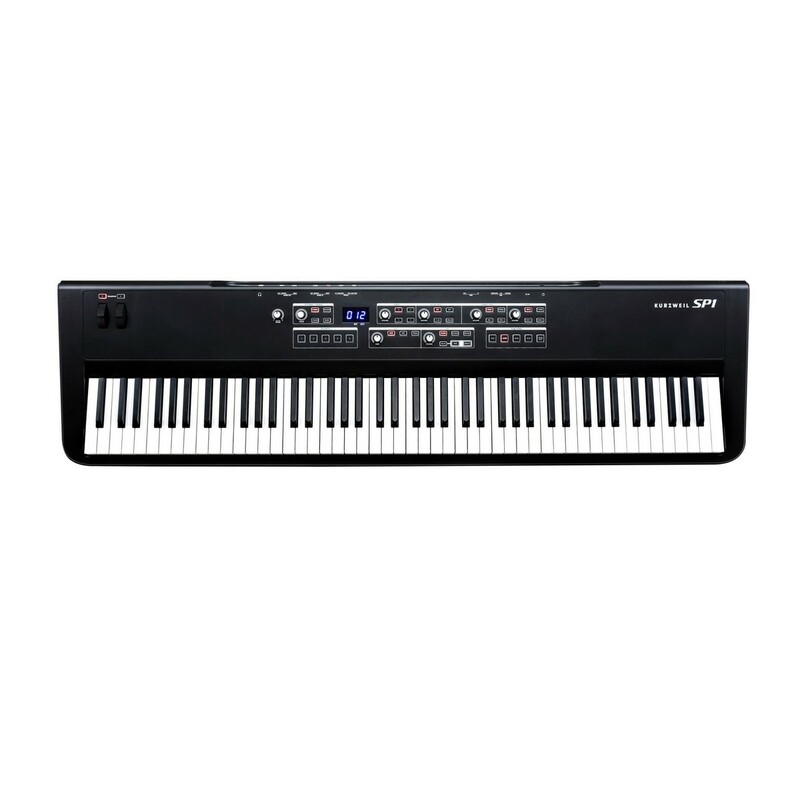 The Kurzweil SP1 88 Key Stage Piano features 16 presets that are divided into 4 different categories. Included are pianos from Kurzweil's German D Artis Grand, which features expertly sampled and voiced pianos to provide you with realistic sounding pianos that react to velocity and capture the nuances of the real instrument. 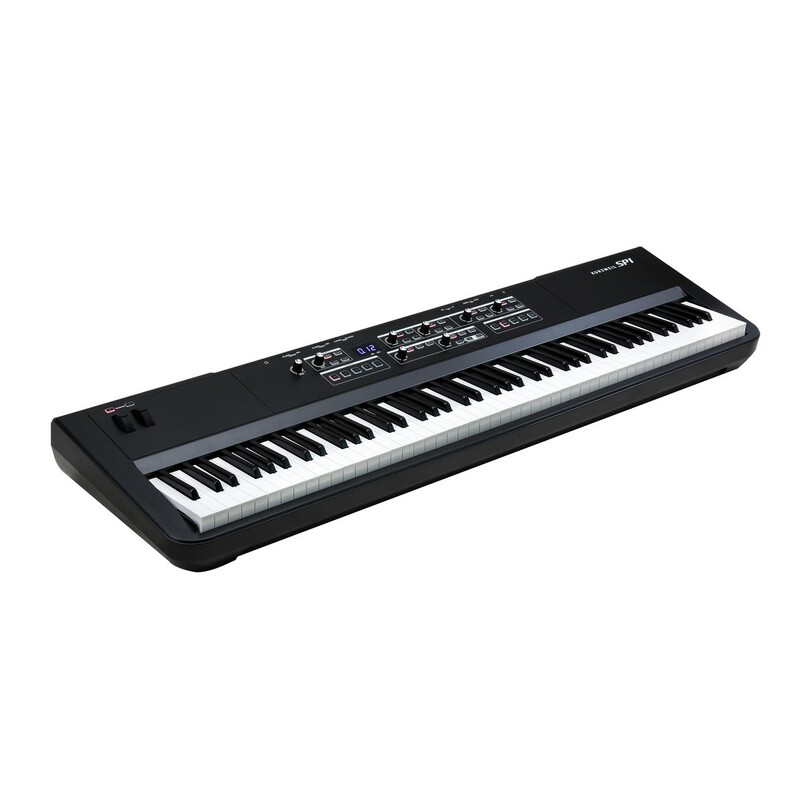 There are also a range of electric pianos from Kurzweil's Forte SE, as well as strings, wind and bass from the PC3 series. 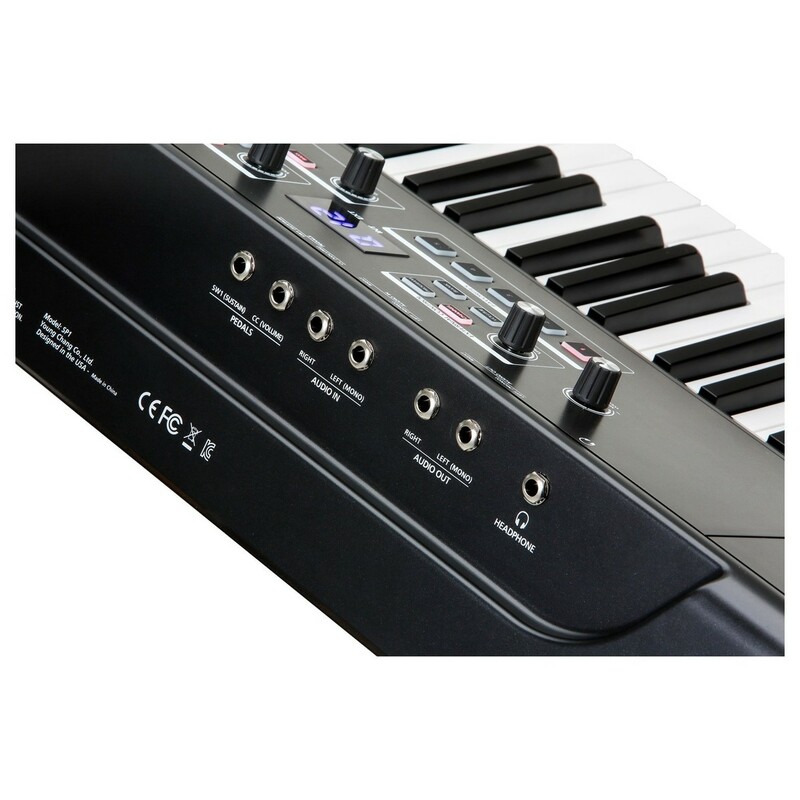 Additionally, a selection of organ, clav and synth pads are available for you to choose from. 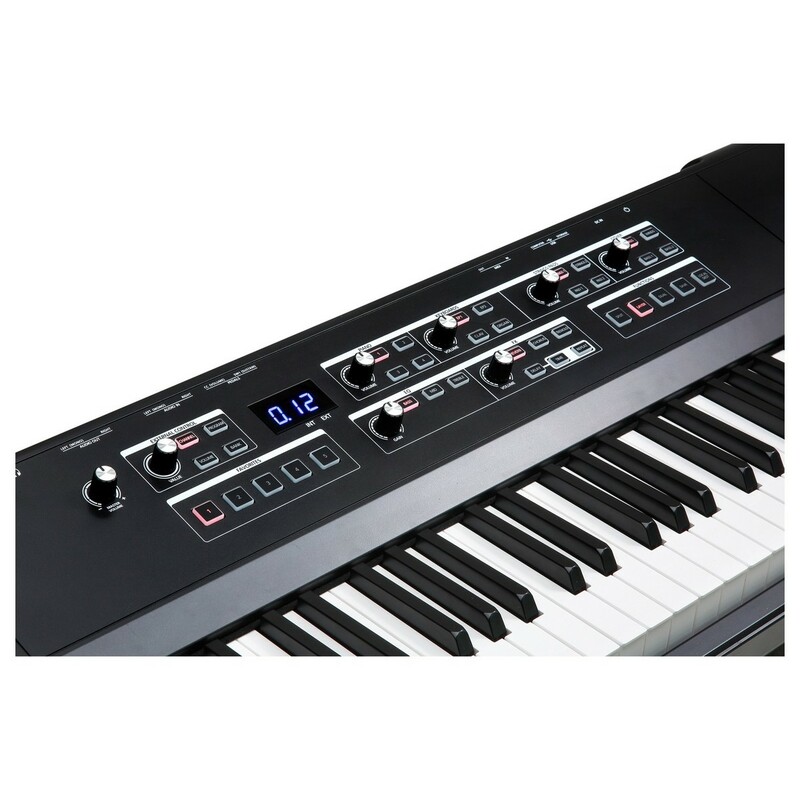 The Kurzweil SP1 features 4 integrated FX and a dedicated 3-band master EQ for sweetening up your sounds. The SP1 features 4 FX that can all be tweaked individually whilst playing, allowing you to add texture to your sound. The SP1 features reverb, chorus, tremolo and delay effects. Additionally, custom tweaks can also be saved to favourites for recalling later. The SP1 features a full-weighted hammer-action keyboard for that natural feel that pianists will enjoy. It offers a full length 88-note keybed and 256 voices of polyphony, ensuring you will never end up with voice dropout whilst playing. Every sound in the SP1 has been perfectly matched to the velocity-sensitive keys to ensure expressive playing. The Kurzweil SP1 also features left/right audio in jacks that allow you to play along with an MP3 player or other external audio device. Additionally, the SP1 also features a dedicated 'External Control' section for controlling external MIDI instruments/software. 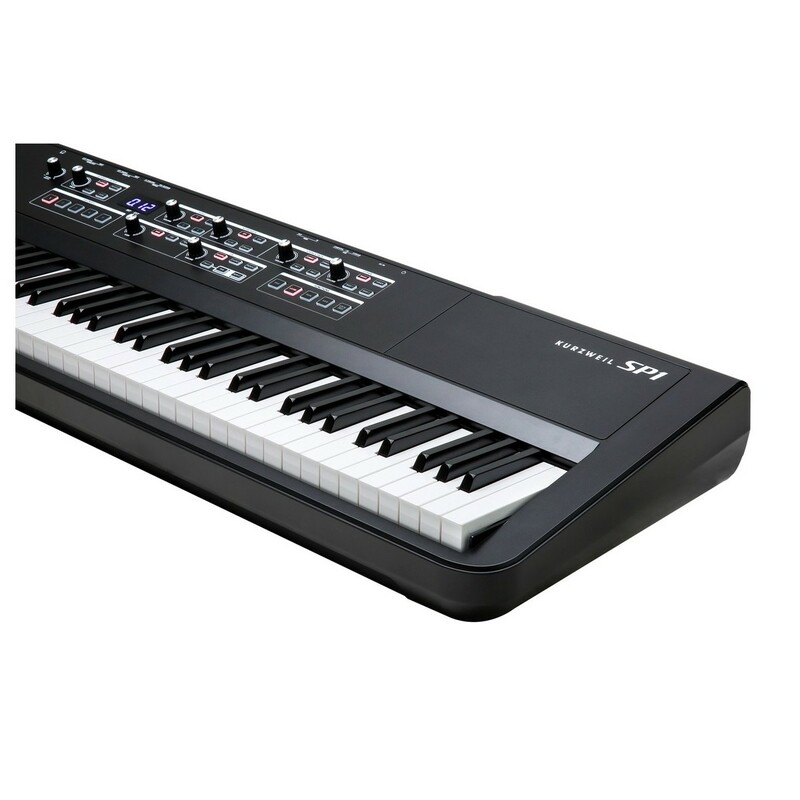 In addition to the various sounds and FX you can use, the Kurzweil SP1 also features a user interface that is intuitive and easy to navigate. There are no menus, so there is no need for deep menu diving and you can always keep track of which instruments are active. You can select sounds from 1 of the 4 instrument categories. They have been split up so you can easily switch between them with a touch of a button and a twist of a knob. You can set up your sounds and access them with the 5 favourite buttons, ideal for live performance. You can quickly and easily create an ensemble performance with the split/layer functionality. This allows you to split and/or layer up to 4 sounds together and save these to your favourites. You can use the split function for student/teach instruction or to play with a friend, splitting the keyboard into 2 with the same sound or different sounds.